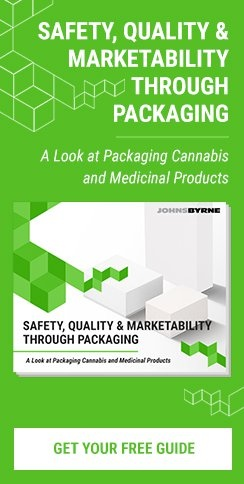 JohnsByrne is well known for creating innovative packaging solutions and providing our customers with the highest quality products, produced with leading-edge technologies. At JohnsByrne, we recognize the importance of responsible management for the raw materials of our trade. Without proper stewardship of the forests, sustainability is threatened, putting at risk the many environmental, social and economic benefits that forests provide to humanity and other living things on the planet. In light of this, JohnsByrne is very proud to have achieved Forest Stewardship Council Certification. FSC-certified businesses are proven to only use “products come from responsibly managed forests that provide environmental, social, and economic benefits.” We have also attained PEFC’s Chain of Custody Certification and are one of only approximately 20,000 companies worldwide that has fulfilled the rigorous requirements to achieve this certification. PEFC is the Program for the Endorsement of Forest Certification. It represents international standards for companies involved in manufacturing products made from the raw materials of forests. The importance of this certification cannot be overstated; it requires compliance with all of the basic ILO Conventions in forest management established since 2001, including protecting ecologically important forests when harvesting materials. How does PEFC differ from other forest certification systems? It is the largest such certification system in the world. It is the only forest certification system entirely not-for-profit. “Upholds the highest standards without exception,” including requiring compliance with all fundamental ILO Conventions in forest management and setting new benchmarks for social issues, such as recognizing the UN Declaration on Indigenous People’s Rights, protecting workers’ rights and prohibiting the most hazardous chemicals and GMOs. Maintains an equally high level of stakeholder engagement for all standards. What is PEFC’s Chain of Custody Certification? Chain of custody in a legal context provides documentation as to the exact sequence of all movements and disposition of evidence, so that it can be proven that it was not tampered with. PEFC’s chain of custody is a tracking mechanism that goes through a complete supply chain, from the forest to the final product, and offers qualified proof that any wood in the final product or product line began its life in a certified forest. Each company along the supply chain must have met the requirements and have chain of custody certification for an end product to qualify. Why is PEFC’s Chain of Custody Certification Important? More and more, environmental consciousness and responsibility have become highly valued by stakeholders at all levels—both in businesses, and as consumers. What Are The Additional Benefits Of Sourcing From A PEFC-Certified Company? The benefits are numerous and will only become more important, as time goes on. To begin with, your use of certified materials can boost your brand among today’s ever-expanding number of environmentally-conscious consumers. Additionally, we are already at a place where business is a global affair. In a number of countries, certification is currently being mandated for companies to be eligible for licensing to do business, and the number of countries with this requirement is expected to grow. By working with a certified company, such as JohnsByrne, you open the door to new, larger markets for your products. Contact us at 847-583-3100 for a consultation on how we can help you develop the innovative packaging that will further your brand image, and we encourage you to find out more about the benefits of chain of custody certification.